Our business is built on referrals of past clients as well as past clients coming to us again and again for their real estate needs. Our clients refer us to their friends and family because they recieved care and service that exceeded their expectations. 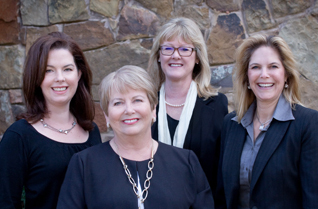 The Croney Team has been selling real estate in the Colleyville area since 1996. We have established relationships with other well respected real estate agents, title companies and mortgage companies. We use this network to help market our upcoming listings.The Croney Team is keenly aware of the real estate market on a national, state, local and street by street level. With the knowledge and experience The Croney Team has, we can use that during the negotiating contracts. Call us today to schedule a consultation on your homes value and how we can customize a marketing strategy to sell your home.